On May 6th 2013, I read that Adobe had decided to stop development of Fireworks. A sad news especially for me as I have been using it since 2001. I developed interest in the web thanks to a book titled “Teach yourself HTML in 24 hours” which my brother was reading back then, but it was only until I used Fireworks that I realized how easy it was to design and create a website. I have used Photoshop countless times but over the last decade Fireworks was the only design tool that I needed to create websites. 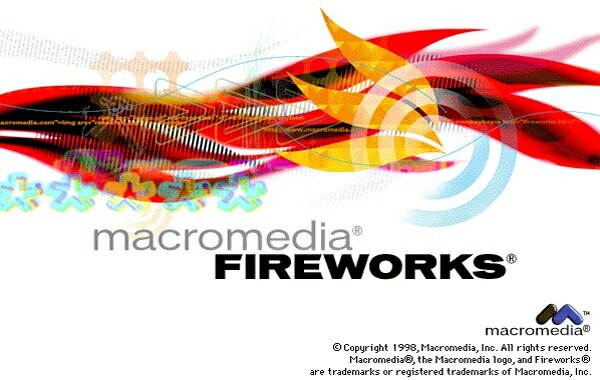 Fireworks was a vector graphics editor introduced to the world by a company called Macromedia back in 1998. There have been 12 iterations to it since then, but it never gained as much popularity and adoption as Photoshop. It was never intended as a tool for everything but only to aide in the designing of websites or user interface’s in general and without doubt it did that very well. I personally don’t think Fireworks had grown very much ever since Adobe purchased Macromedia in 2007, but they did make it work well with other Adobe software such as Photoshop & Illustrator which had helped tremendously in working with other designers who do not use Fireworks. With Adobe announcing in its Adobe MAX conference that it would no longer update Fireworks, the Fireworks community has become more vocal on Social Media sites. A recent post on Adobe blog tiled “The future of Adobe Fireworks” does answer few questions let me put down in points what it means. So what is the future of Adobe Fireworks? Adobe will no longer continue development of Fireworks but users can still buy Fireworks CS6 as a standalone software or through the Creative cloud subscription. Adobe promises to offer security updates for Fireworks. Adobe will be releasing fixes, including “File not found” issue on Mac OS 10.8. They may provide bug fixes. Adobe plans to update Fireworks to be compatible with next major releases MAC OS X and Windows but these plans may change. For users like me who are dependent on Fireworks, we can continue using the software as long as possible which in reality could be at least a year or 2 if not more. If you prefer planning ahead, then this would also be the right time to invest time in learning and mastering another tool such as Photoshop or Illustrator. But for those of you who simply cannot imagine themselves using Photoshop or Illustrator for their web design projects, then you better start looking for an alternative. Sketch is a professional vector graphics app with a beautiful interface and powerful tools. 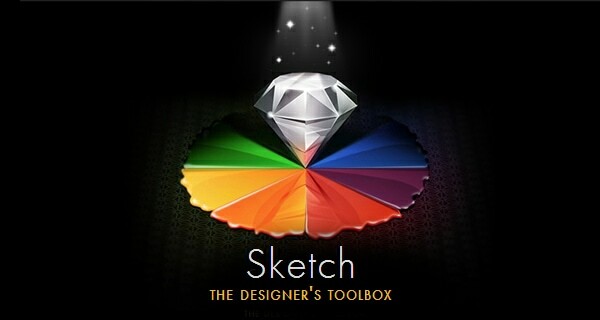 The company behind it created “Sketch” with an aim to build a better app for graphic designers. Unfortunately at this moment, Sketch is only available for MAC users. 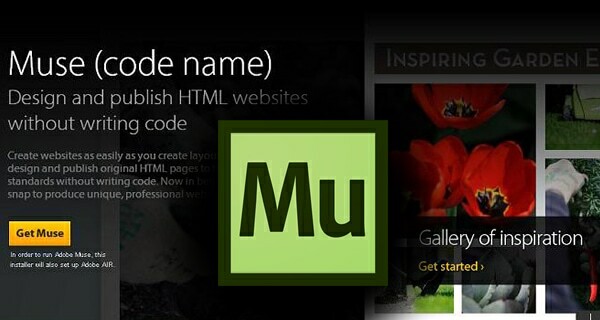 Adobe Muse CC is a software focused on allowing designers to create HTML websites without writing any code. Adobe Edge Reflow CC on paper sounds like a good replacement for Fireworks. Edge Reflow is a highly visual tool with features for designers to quickly created responsive websites on a native web surface while accessing the latest CSS features and the ability preview designs in real time. Once a design is created, designers could extract generated CSS code to be used in other editors for modification or deployment. I have designed many websites in last 9 years using Adobe Fireworks. I have used Fireworks not only to create prototypes or wireframes, but also detailed website layouts. I for one cannot imagine myself using anything else for now and so I plan to buy the latest version – Fireworks CS6 and use it as long as I could. I also plan to test Adobe’s Edge Reflow CC as it seems to be a promising tool to manage the complexity of designing a responsive site. Change is difficult. Whether Adobe’s decision to stop development of Fireworks and focus on smaller task based tools is helpful for us would only be clear in next few years. I hope guys from Bohemian Coding will soon improve Sketch. It’s quite similar to FW, but has some annoying features. Saw this coming since the day Adobe acquired Macromedia. What do they think the user that started working with the software since the first version will do now? Switch to Photoshop and step back 15 years? I hope there will be a new fireworks to fill this gap. Shame on Adobe for that kind of bad product management. If you use Fireworks so much maybe you can help me with his question. I bought several UI Packs from Design Mondo but found when opening them in Fireworks some of the elements are fairly broken. I.e. they don’t look the same as they do when you open them in Photoshop where everything is perfect. Generally I’d like Fireworks for Prototyping. Is there any way to get the UI Packs working perfectly in Fireworks? I personally love Fireworks. I used to create my graphics in that software. But I agree that Adobe Photoshop and Illustrator are much better. As long as you’re doing just raster or just vector, PS and AI are better, yah. But I can’t remember the last project I had that was like that. For projects that mix vector and raster work there is not a single tool in existence that is even near the efficiency of FW. I’ve been dedicated about 10 years to study and working with Fireworks. I think it’s best than Photoshop and Illustrator for web. I’ll continue using Fireworks for my websites/apps layouts and Illustrator for printing. I’d love to see a list of features the FW was better for. I learned PS first, so I never took the time to learn FW. Then from that list, I’d want to find quality alternatives or techniques in the applications that have a future. Layered + Vector PNGs… nuff said!! Anything that involves anything vector or that could be better done in vector (far more capable in vector than PS), yet still requires raster involvement (far more capable at raster than AI). In other words…pretty much every project I’ve ever done that was anything other than straight photo manipulation (PS) or straight logo work (AI) FW has been better for. Hello i’ve not before work very much with fireworks. But with this solution i think so, lose Adobe with her ABO and Cloud only model very much Designer and freelance starter. I will not stop using Fireworks, until there is no better alternative to create layouts for screendesign (UI Web, App, …) ! I think Photoshop or Illustrator will never compete with Fireworks, because the tools have to change there whole concept for this, which is not possible. Since Adobe got Fireworks from Macromedia only 2 real new features made it in there. So Adobe killed Fireworks from the beginning many years ago in 2007. Anyway after PS and AI steal some features from FW, Fireworks kept the better tool. The real power of Fireworks are the extensions. Other developer created awesome extensions which added the features Adobe doesn’t. As long as the developers create awesome extensions, Fireworks is still alive! The community is also very huge. So don’t give up, keep Fireworks alive by creating more and more awesome extensions!!! Hope other Fireworks fans see it the same way! Dear Andre, you’re article is awesome, thanks! It should be used as petition material to convince Adobe to reconsider.. This was a long time coming, I’m surprised Fireworks has lasted this long, there’s no sense in Adobe Keeping Photoshop & Fireworks, especially since they migrated most of the functionality from Fireworks into Photoshop & Illustrator. Of course photoshop & illustrator will never compare, but I’m sure nobody is terribly surprised by this news. The writing has been on the wall for a long time. Actually, they have only scratched the surface regarding migrating the really important tools and workflow from Fireworks. This is the reason so many people are upset. There really isn’t a good replacement tool around. 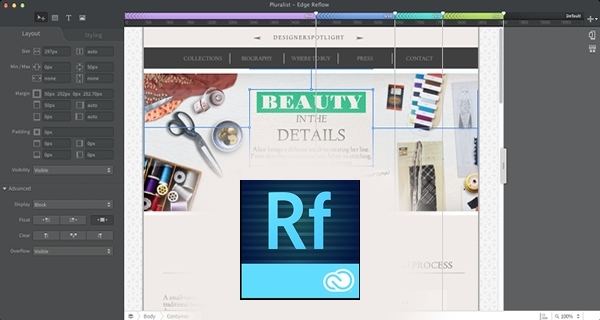 Adobe Edge Reflow isn’t going to cut it as a whole solution as you need to bring in a layout from Photoshop to reflow. The problem is Photoshop is a far from perfect workflow. However, I have yet to read what all of these tools and workflow are. I am not doubting that this is true, but can someone list several tools/workflow items which cannot be found in either Photoshop or Illustrator (or, additionally, in InDesign)? I still use Fireworks and will continue to do so. Hasn’t anybody ever heard of using the right tool for the right job? Shoehorning features into Photoshop and Illustrator and trying to use them instead of using a tool specifically created for using the job doesn’t cut it. It’s sad that fireworks will no longer be developed, however the new edge tools look impressive and i’m sure they will fill in the gaps. Actually, you might want to download it. Reflow relies on a layout created in Photoshop. There are no prototyping tools in illlustrator, but besides that there is so much possible. It has many functions that most people aren’t aware of. Like design on pixel-perfect grids, character-styles & 9-slice guides. I think illustrator is a very good alternative for fireworks. If you have any questions about webdesign in illustrator, please e-mail me. i will help you! I’m gonna use Fireworks for as long as possible. I don’t see any good alternatives on Windows yet. Maybe I’ll go back to OSX in a few years and check out Sketch or whatever else is out by then. In this article Edge Reflow is mentioned as a possible alternative for FW, but I think that is (unfortunatly) a very big over-statement. Edge Reflow is a great tool for defining responsive layouts (setting breakpoints / media queries) and it allows direct css manipulation etcetera, but as far as a creative process goes, it’s still in kindergarten. 1. When Apple drops 32 bits support (OSX11?) all our project files become inaccessible. FireWorks is the only tool on the market that supports layered and paginated PNG. Keeping an old machine just to read files sounds like a hassle. 2. 32 bit limitation that makes FW extremely unstable when working with large document of 30+ pages. With the responsive design any of our projects is bigger than that. I have used Fireworks for years but am using it less and less lately because almost everything I do now is from a mobile-first strategy. I hope Adobe learns from the intuitive user experience provided by FireWorks and gives us a more flexible product. I’m also a Fireworks advocate for web design and have been using it since the Macromedia days. Because I learned that Adobe stopped working on Fireworks, I decided to try to embrace Reflow. I recently designed and entire new website using it. While Reflow was nice in previewing different screen sizes and educating how media queries will affect the design, as the project became more complex, Reflow began breaking. Because Reflow tries to live code and place your elements in a structured DOM, many unwanted layout errors occurred because of Reflow misunderstanding what I wanted. Going in to the DOM and reordering elements became tedious and annoying, so I just stopped eventually. Reflow did embrace some newer CSS3 standards, but it lacked many web design features such as graphics generations (which it substitutes by connecting Reflow to Photoshop). This workflow made mocking up a design much slower. Reflow is not made to generate quality code for the web (it says this itself in a popup when you first preview your design in the browser). Because this is true, it doesn’t seem like Reflow actually saves any web development time by placing the elements into the DOM and writing code for you. While I enjoy the visualization of the CSS media queries, Reflow is not robust enough to save time when mocking up designs. Hmm late to the party on this, but I was so disappointed I needed to vent lol. PS is just clunky in comparison to FW from a usability perspective but the main loss is us non designers who used it to chop up and “webify” page layouts sent from the design team. I have worked in many web development companies and the designs are never suitable as far as how they are broken down or how they are compressed for putting on the web. Adobe has grown too big for their own customers, they want us to use what they tell us we should use and the end game is that they are only interested in people who want to fork out for a full CC subscription (hence why their workflows always involve 3-4 different products regardless of how unproductive it is). Its pure greed and I hope it backfires by leaving room in the market for a competitive product to come and break their monopoly. People should boycott their software. How are you guys holding up ? Did you adopt new tools, did you find alternatives ? I’m sorry to bring the subject back i know its too old, But i started with Macromedia Fireworks 8, I believe it was 2006. At that time i was a teenager and had no idea what’s this program i’ve got it by accedent. I always wanted to learn Photoshop and Image Ready if i remember well but it was always so hard on me and so complected, After i got Fireworks8 i started to learn by myself how to deal with it and since that time i’m saving the favor for this program cause it made me an artist, and it made my career. with Fireworks I’m making Digital Arts, Advertisement designs, Photo manipulations, I’m designing cover photos for movies and singers, I’m making logos, and much more, And it’s really hard for me to just let it like how Adobe did. After all this years. The ram in Fireworks was always a problem that Adobe never fixed like a lot of issues this program faced and they refused to fixed. it was so shown from the moment Adobe took Macromedia that this will happen sooner or later to force us to use Photoshop or other products. Anyway I’m still using FW CS6 till now and i’ll not change it soon.